Home / Sentences / How to Avoid a Criminal Record? 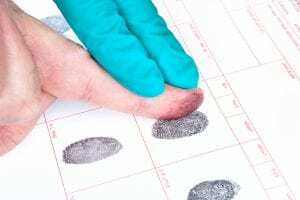 How to Avoid a Criminal Record? Engage one of our criminal lawyers to have all charges struck out at a preliminary hearing, prior to evidence being called. Engage one of our criminal lawyers to plead not guilty on your behalf and to assist you in being found not guilty by a magistrate, judge or a jury depending on the nature of the charge. For more information on pleading not guilty in the Magistrates’ Court click on the above link. Engage one of our criminal lawyers to petition the informant to provide you a diversion recommendation. This can often be a tricky exercise. The first step is to obtain the recommendation, the next step is to convince a magistrate or judicial registrar to grant the diversion. For more information about how to avoid a criminal record by way of diversion click here. If you have been found guilty by a magistrate at first instance, engage our office to assist you in lodging an appeal to the County Court. You are always entitled to have a second chance (hearing De Novo) in the County Court when coming from the Magistrates’ Court. The only exception to this rule is if the matter relates to infringement warrants. Click here for running a not guilty conviction appeal in the County Court from the Magistrates’ Court. If you would like further information on how to avoid a criminal record, please call one of our offices located at the top of the page, or click a link below.